C. G. Jung is one of the most influential thinkers of the 20th century. He is generally regarded as the most important psychological theorist of modern times, second only to Freud, his associate and his intellectual mentor. Jung's thought followed Freud's in many fundamental directions, but diverged from Freud in several crucial respects. Jung emphasized the continuing devekTment of personality throughout adult life rather than the formation of the personality in the first years of childhood; and he focused less on the inevitable necessity of repression than on the goals of integration and individuation. Jung's views have in the past few decades become very much our own, pervading our culture in a myriad of ways and through a multitude of psychologists, self-help authors, and essayists in the fields of mythology and spirituality. But none of his followers compare to the man himself for sheer wealth and breadth of ideas. 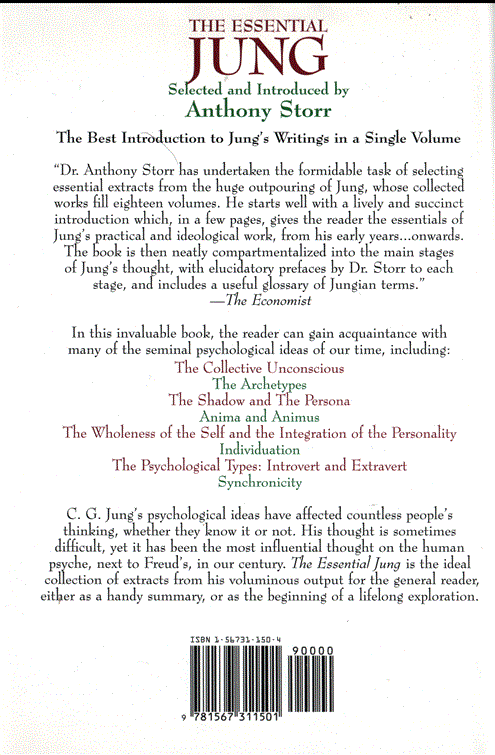 The Essential Jung is the best introduction to these ideas for the general reader. This volume presents the essentials of Jung's thought in his own words. 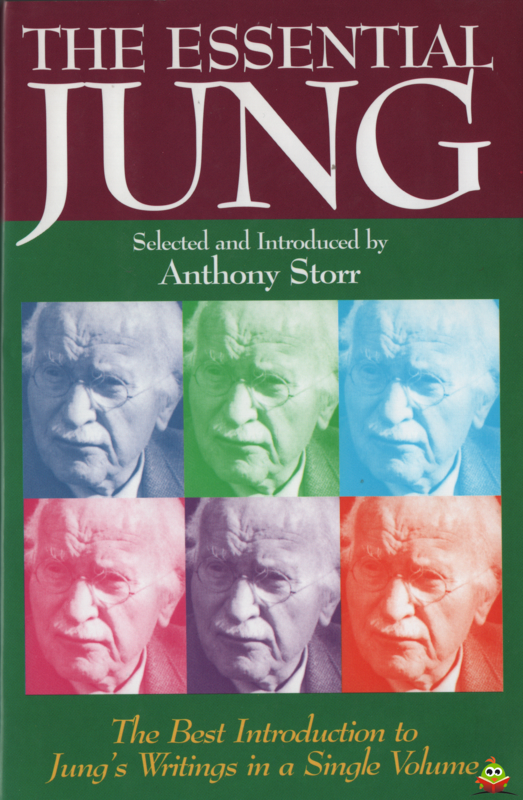 To familiarize readers with the ideas for which Jung is best known, the British sychiatrist and writer Anthony Storr has selected extracts from Jung's writings that pinpoint his many original contributions and relate the development of his thou ht to his biography.